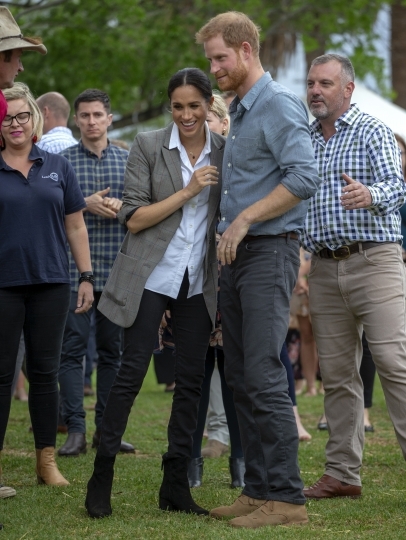 DUBBO, Australia — The Duke and Duchess of Sussex were jokingly thanked for bringing England's notoriously inclement weather to a drought-stricken Outback town on Wednesday in a rain-drenched visit to Dubbo during their Australian royal tour. 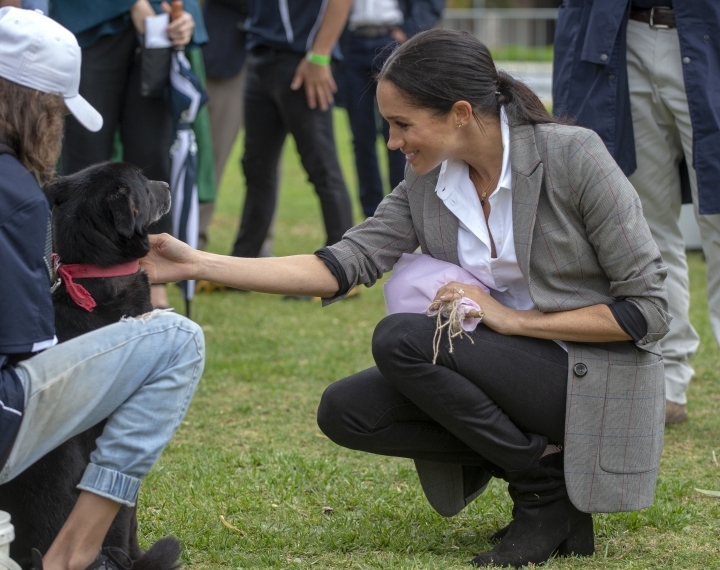 The former Meghan Markle brought banana bread that she baked in Sydney on Tuesday as a gift to a farming family outside Dubbo who were struggling to feed their cattle and sheep through two years of below-average rain. 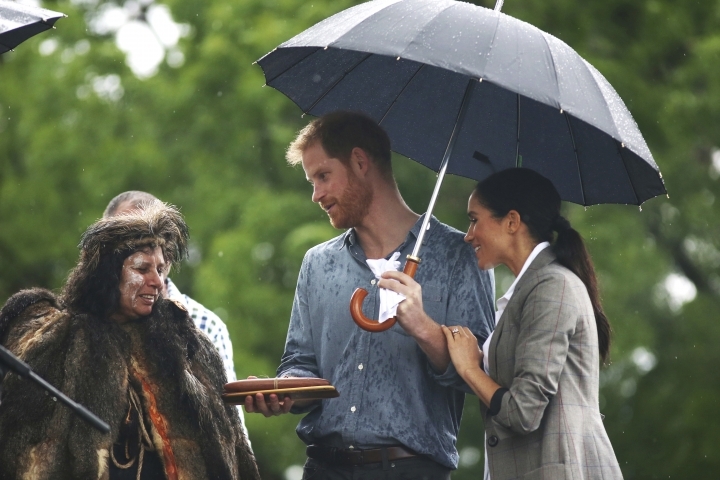 "When she heard she was coming to a family home, she had to bring a plate, so it was lovely," farmer Elaine Woodley said, referring to a dish to be shared. 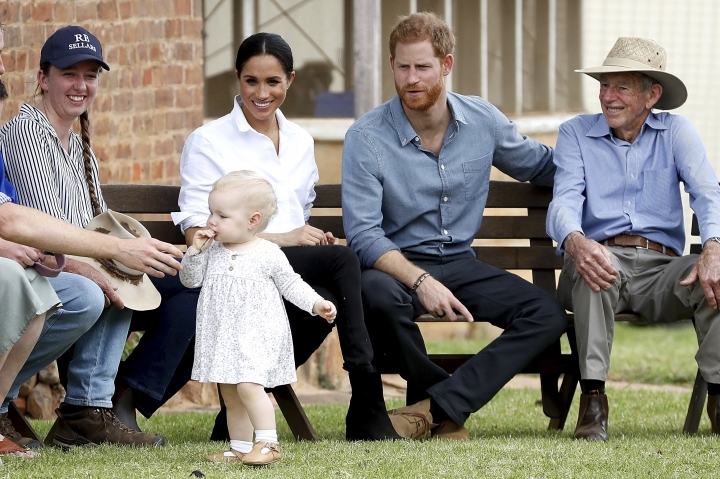 The pregnant American former actress and her husband, Prince Harry, got their hands dirty throwing cotton seed onto hay used to feed the cows because of a lack of pasture. 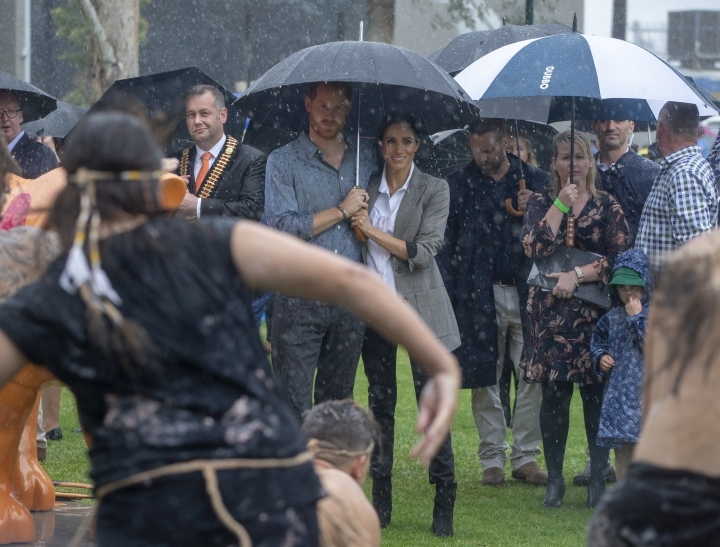 Heavy rain started falling when the royal couple arrived later at a Dubbo park for a community picnic, but thousands of cheering well-wishers remained enthusiastic. 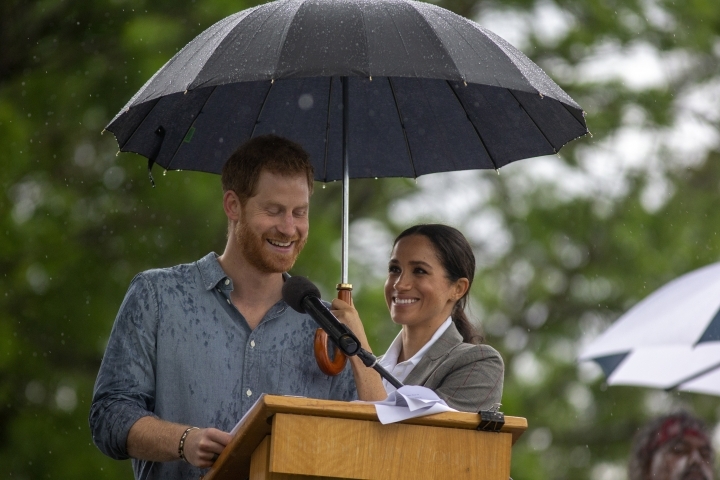 "As your royal highnesses are aware, our region has been hit by a terrible drought," Mayor Ben Shields told the drenched crowd draped with waterproof ponchos and holding umbrellas, who erupted in laughter. 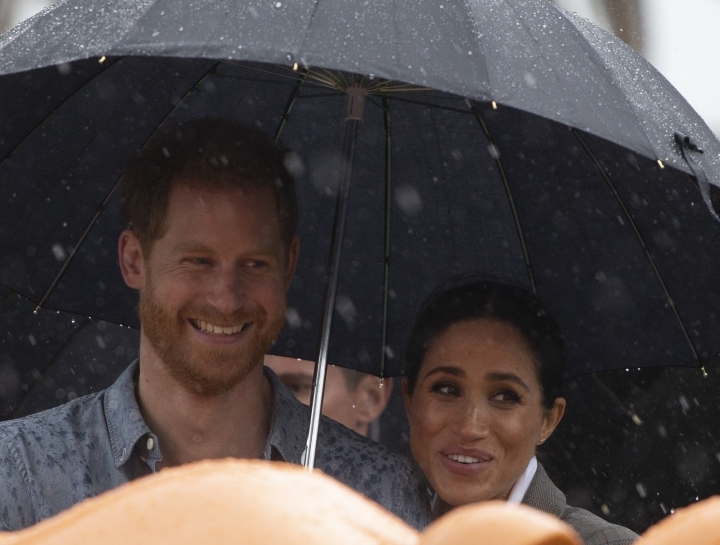 "So we're very pleased that you can bring some of that English weather with you today, and hopefully it will bring some relief to the farming families," Shields added. While rain in recent weeks has been welcome, much more is needed to repair the economic and environmental ravages of the extended dry spell. Drought conditions in New South Wales state this year have been the most widespread since 1965. 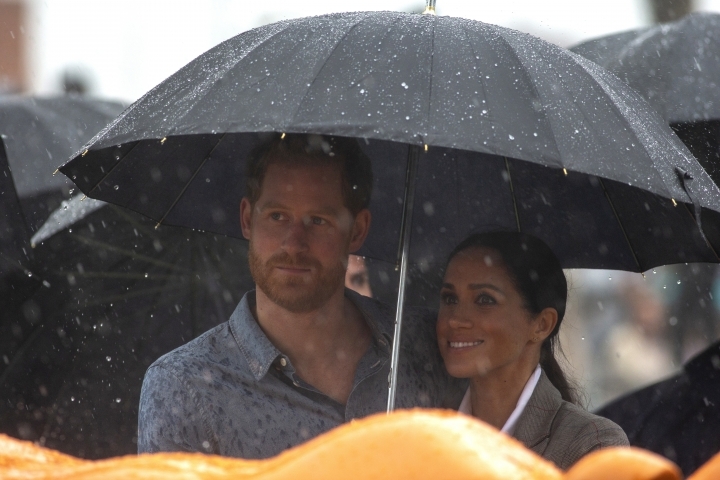 Meghan held an umbrella over Harry as he gave a speech, acknowledging the hardships the drought brought to the rural community and urging drought victims not to suffer in silence. The crowd applauded when Harry touched on his own mental health struggles following the death of his mother, Princess Diana, in a car crash in a Paris tunnel in 1997. He was 12 at the time. Harry, now 34, revealed in an interview last year that he did not seek counseling until he was in his late 20s. "You are all in this together and, if I may speak personally, we are all in this together," Harry said. "Because asking for help was one of the best decisions that I ever made. You will be continually amazed how life changes for the better." 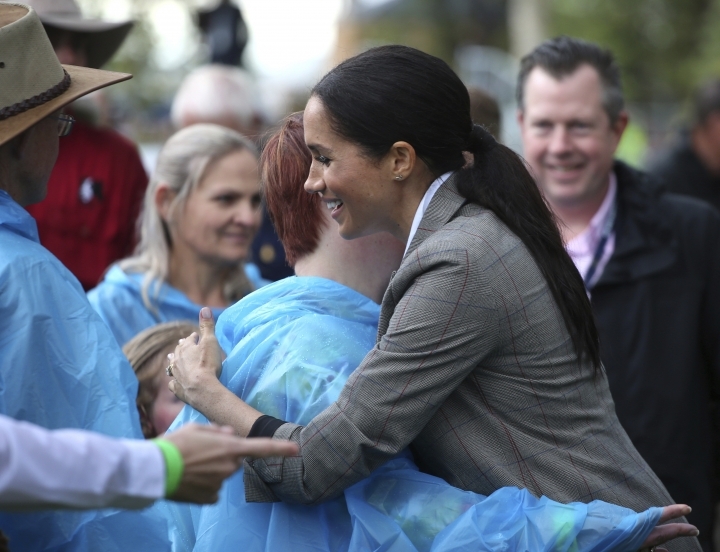 The prince ended by thanking Dubbo for its invitation and for sharing its stories, adding, "And the rain was a gift." Drought relief charity Drought Angels director Natasha Johnston commended the couple for their empathy. "To have them recognize that our farmers are hurting, and show up here, it's an honor," Johnston said. "It's been unbelievably tough. We've had families who can't put food on the table, who can't afford everyday basics, who can't afford water to fill their tanks," she added. 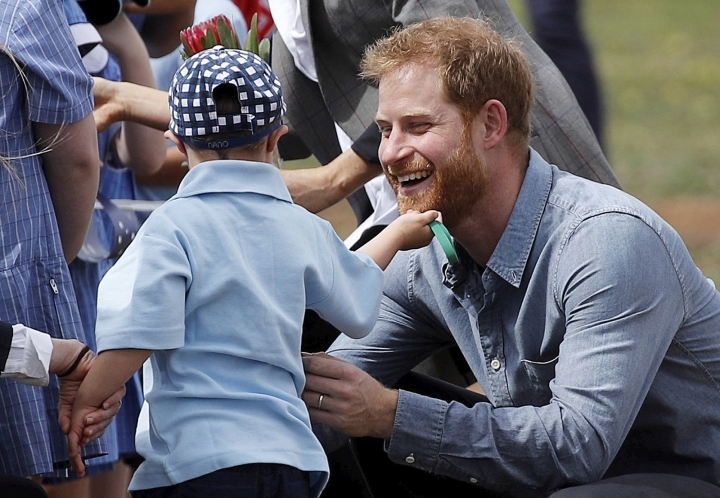 On arrival at Dubbo airport, the couple appeared delighted when 5-year-old Luke Vincent, who has Down Syndrome, hugged them both and ruffled Harry's hair and beard. Luke's school principal Anne van Dartel said she had told the students that they were not to reach out to the royals. She suspected Harry's beard reminded Luke of his favorite celebrity, Santa Claus. 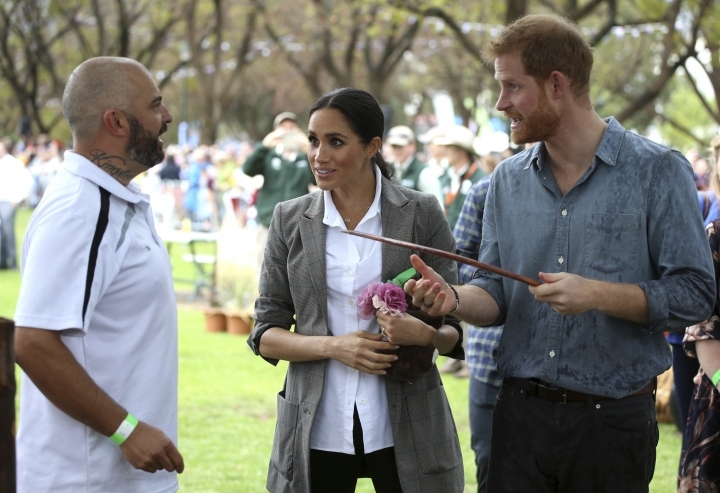 "I was very concerned once he started rubbing Prince Harry's face and his hair, but Prince Harry was completely gracious and was so polite and realized what was happening and (Luke's) infatuation with his beard," van Dartel told Seven Network television. Luke told later told Nine Network television that Harry had surpassed Santa in his estimation. 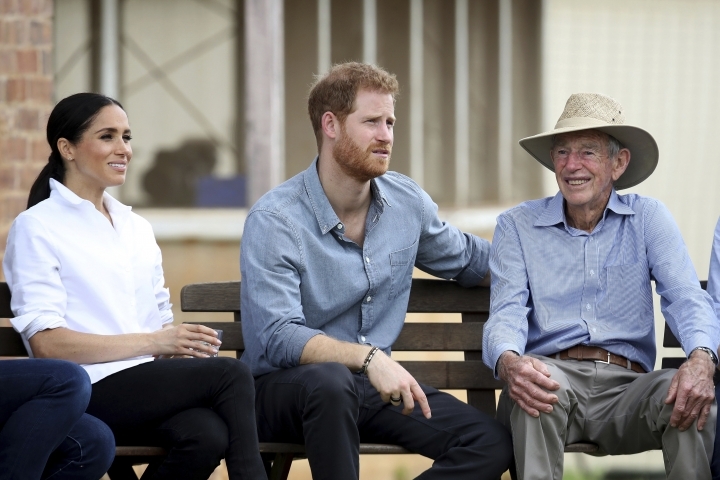 Harry and Meghan are on a 16-day tour of Australia, Fiji, Tonga and New Zealand. The main focus of the tour is the Invictus Games, which start in Sydney on Saturday. The sporting event, founded by Harry in 2014, gives sick and injured military personnel and veterans the opportunity to compete in sports such as wheelchair basketball. McGuirk reported from Canberra, Australia.